Spilling food, paint, and random beverages on myself is my superpower. It has been all of my life. Lucky Me! I ruined more clothes than I should because only until recently did I clue in that aprons protect clothing from spillage and splotches. Smart > me. 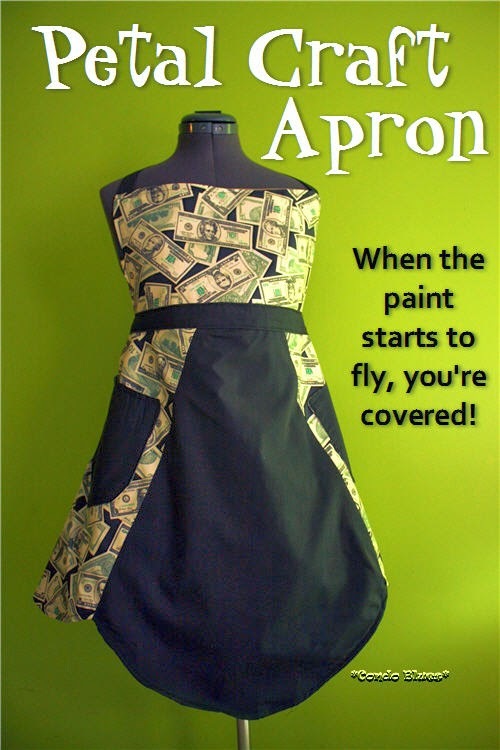 I made this craft apron longer in the front and sides because that's where most of the paint splotches end up on my clothes. The four seasons in Central Ohio are: Winter, Still Winter, Mud, and Blazing Hot. We are now in the season of Mud, although you might call it Spring where you live. Lacey loves this season. The weather is warmer and allows us to give our girl the long and frequent walks she so desperately needs to drain her nervous energy. It also allows her to create intricate muddy paw print art installations on the kitchen floor when we come home. Pin this idea to your Pinterest boards for later! Share it with your friends! As much as I like to support the arts. 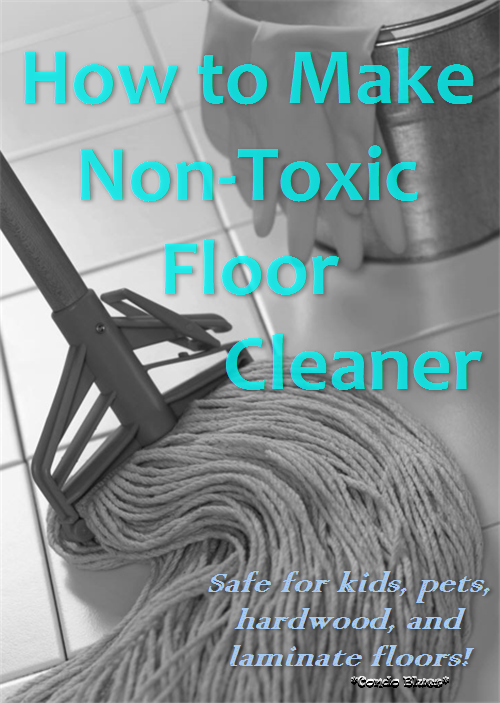 I like to support clean kitchen floors more. Oh, not in the rotten things are happening to me kind of stink. I mean the literal something is making my sofa/car/room smell rotten kind of stink. A fabric refresher made from a synthetic chemical concoction that may or may not be harmful to my family. The companies that make that stuff don’t have to list their ingredients or say one way or the other so they don’t. 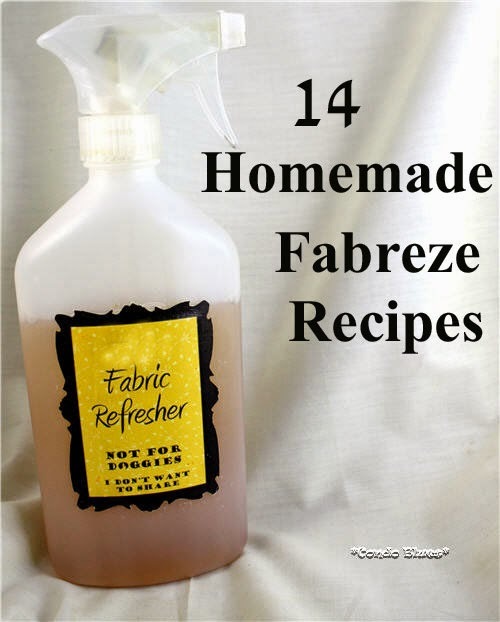 Pin this list of all natural fabric refresher recipes for later! 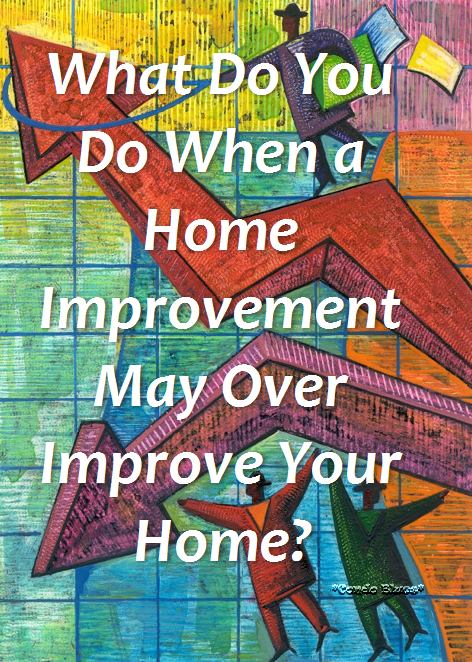 What Happens When Any Home Improvement May Over Improve Your Home? A few years after we bought our condo, the value went up. 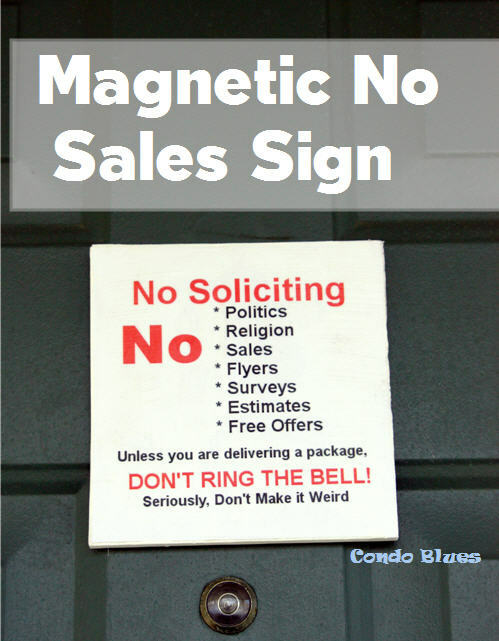 You know, just like it is supposed to do when you invest your money in buying a home. I'm sure my half bathroom remodel with its granite counter top helped. Then the economy went south taking property values with it - including ours. The only consolation is that all of our friends who bought homes around the same time are under water too. 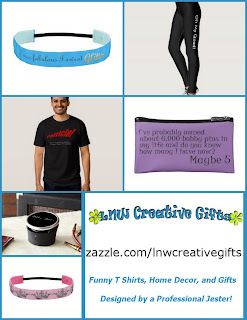 Since we are living here and will be for the foreseeable future, I wasn't shy about improving our house with basic cosmetic changes like painting the walls or DIY projects that would benefit us in some way like insulating the garage and insulating the garage door. You have to differentiate a bit if you live in a neighborhood of similar houses, right? I’m decorating and making over the Room Where Old Furniture Goes to Die. Some people call it the guest/craft room but not many. I made over an old bed frame with Mod Page and paint! The guest bed frame was a freebie from my old boss. It needed a little DIY love. Scratch that. The bed needed A LOT of DIY love. I knew the stain was chipped and scratched but I didn’t realize there were small cracks in the head and foot boards. The side rails were pretty beat up too. The soil in my yard is so bad it makes me sing the Condo Blues. The builder sold the lovely topsoil that should be surrounding my house before they built the neighborhood. The thing is, they didn’t put it back after building our condo. We are stuck with thick clay soil that kills almost everything I try to grow in it. Cue up the blues. Whoomp. whoomp. Sad trombone. We added compost and new top soil to the front yard. Our soil can use some bone meal too. Bone meal is an excellent source of phosphorous and helps plants grow a healthy root system. 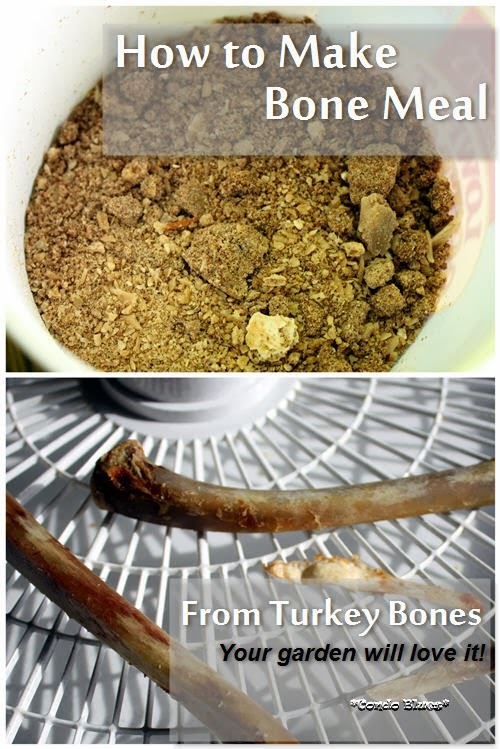 This also keeps poultry bones from stinking up the kitchen trash. I took advantage of the tiny break in weather to scurry into the garage and make over the guest bed. Once I gave it a up close and personal looksee, I realized the bed frame was a bit more beat up and damaged than I originally thought. But hey, it was a freebie from an old boss, so I’m not complaining. It is difficult to tell from the photo, but this bed is pretty beat up. After repairing some unexpected cracks and dings with wood filler, it was time to sand the finish off the bed to prep it for painting. This is when my Mouse detail sander earns its kibble because the point allows me to sand the curves, nooks, and crannies I'd have to do by hand if I used an orbital or finish sander to sand the finish off this bed.